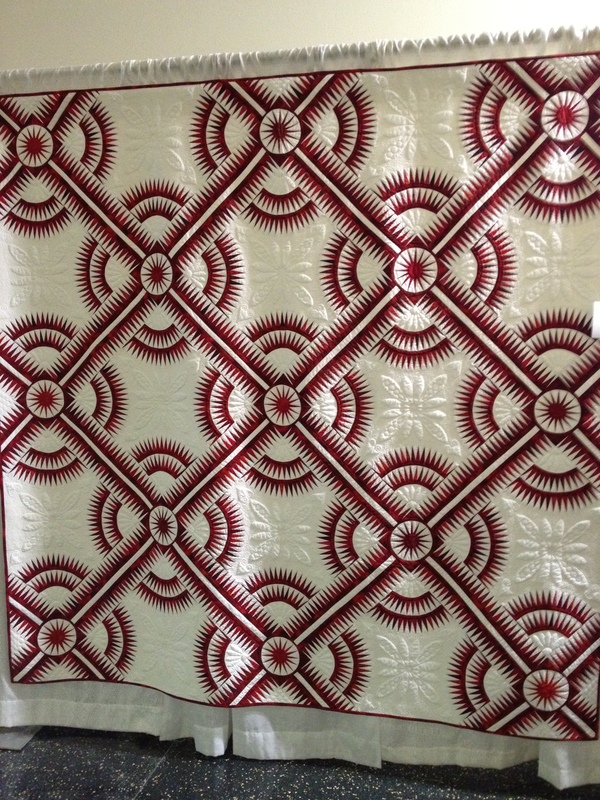 When I was at the Quilt Expo earlier this year, I saw several red and white quilts that I loved. The colors really cheered me. They also reminded me of friends I made on a business trip. These friends welcomed me into their [Austrian] home and took me hiking, touring, watching their son paraglide, and even invited me for cake during Sunday afternoon family visits. I felt a sense of belonging that I’ve never felt before on a business trip. Since their living room is decorated in red and white, I immediately thought to make them a quilt in those colors. Never mind that the fall season was already well under way and I was already working on a dozen other projects. When mid-November hit and I still hadn’t begun, I reluctantly abandoned the project for this year. In general, I’m not a huge fan of handmade gift-giving. It’s hard to gauge whether the recipient is getting something (s)he enjoys or whether (s)he feels obligated because I spent time making it. Of course, I have received many handmade gifts I’ve enjoyed. I’m not saying handmade gifts are inherently lame, just that there can be a fine line between something the giver wants to make and something the recipient wants to receive. Quilts for me have been the exception. I can’t imagine putting in as much time as a quilt takes without first being sure of color preference, etc. I give the other handmade gifts I’ve given a 50% chance of being appreciated. All that said, I decided to do a non-quilt gift for my Austrian friends. I work for a Japanese company, so I wanted to use the Japanese sashiko embroidery technique to make a pillow. I chose red and white to match my friends’ livingroom, and the sashiko style is meant to symbolize the Japanese company that brought me to them. Sashiko facts worth noting: the ratio between stitches and blank space is 2:1, meaning the space between stitches is half the length of a stitch. Also, I used a typical design with lots of diamonds. The recommended method is to complete full rows/lines rather than individual boxes. A photo of the back side of my project shows the direction of the stitching. My first sashiko project went pretty well, and I can’t wait to explore the technique further. I am already making some mental adjustments to my next project! This last image is a photoshopped image of my friends’ livingroom, showing where I thought the pillow might work. Categories: Embroidery, Other Sewing | Permalink. coolest ever. what a beautiful, individualized gift idea! What a nice way to say “thank you” for their hospitality and friendship!